Australian and US schools (inc. universities, colleges and libraries) automatically qualify for 30-day credit terms on receipt of a purchase order. Australian schools can email (orders@microbric.com) or fax (08 8121 3310) a school purchase order. Once your order is received a Tax Invoice will be emailed in Australian dollars with 30 days credit. The Australian dollar amount will be calculated using the day’s exchange rate. Please note you should receive confirmation via email that we have received your purchase order within two business days. If you have not received confirmation after this time, please contact us via orders@microbric.com. The goods will then be dispatched from Hong Kong within two business days. The commercial invoice shipped with the order will be in US dollars and is for international shipping requirements only. Please ignore this invoice and only refer to the Tax Invoice sent via email. Please note that as of July 1st, 2018, Tax Invoice’s to Australian schools will have GST applied. Other applicable importation fees may be charged by Australian customs during import if the total order value exceeds AU$1,000, and will be payable by the customer. Credit is limited to $5000 USD. Any orders over $5000 USD will require payment prior to shipping. All Australian orders over US$45 include free shipping from Hong Kong. Orders of nine or less Edison robots or EdCreate kits ship via Hong Kong Post. Delivery takes 10 to 21 days. 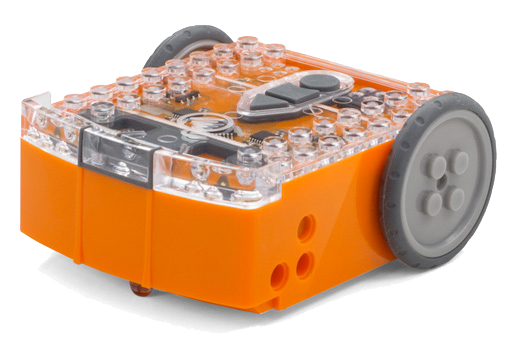 Orders of 10 or more Edison robots or EdCreate kits ship via DHL Express. Delivery takes 3 to 10 days. US schools can email (orders@microbric.com) or fax ((806)-429-4248) a school purchase order. Once the purchase order is received an invoice will be emailed with 30 days credit. Please note you should receive confirmation via email that we have received your purchase order within two business days. If you have not received confirmation after this time, please contact us via orders@microbric.com. The goods will then be either dispatched from Hong Kong or Los Angeles depending on stock availability within two business days. If the order is shipped from Hong Kong please ignore the attached commercial invoice and only refer to the invoice sent via email. Note that credit is limited to $5,000 USD. Any orders over $5,000 USD will require payment prior to shipping. US orders over US$45 include free shipping from Los Angeles or Hong Kong (depending on stock availability). Orders of 9 or fewer Edison robots or EdCreate kits generally ship via USPS from Los Angeles (delivery takes 3 to 10 days). Orders required to be shipped from Hong Kong are shipped via Hong Kong Post (delivery takes 7-21 days). Orders of 10 or more Edison robots or EdCreate kits generally ship from Los Angeles via USPS, UPS or FedEx (delivery takes 3-7 days). Orders required to be shipped from Hong Kong will go via DHL Express or FedEx (delivery takes 3 to 10 days). At this time, Microbric only has registered companies in Australia and the USA and can therefore only offer credit terms in these countries. We hope to expand in the future to include the United Kingdom, Canada and New Zealand.